For every way you travel and any destination you choose, from great escapes to miniature getaways, there is an insurance plan that will cover your trip. Just as there are endless types of trips, there are many types of travel insurance. Some policies cover broad categories of travel and others are designed to cover journeys of a specific nature. 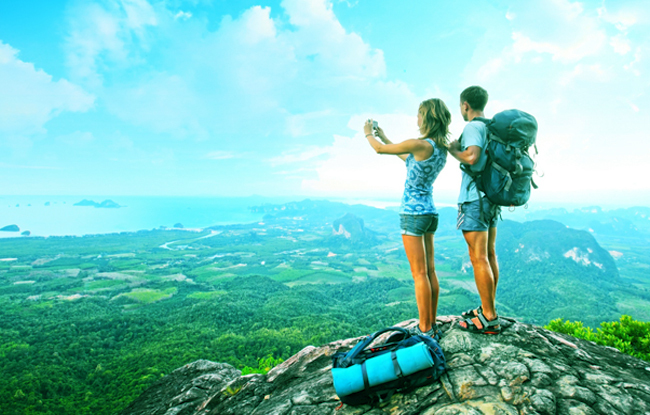 It is best to be sure, that no matter where you roam, the insurance plan you choose will cover your adventures. Often, travellers dismiss the importance of travel insurance policies because they incorrectly believe their public health insurance will cover illnesses in a given country, or a private policy over a dwelling or renters will cover lost property during a trip. However, after a little research it becomes apparent that once you have left the United Kingdom, the National Health Service (NHS) benefits and your current insurance plan may be inadequate to cover all the risks and common setbacks of travel. It is possible for British nationals to apply for public health plans to cover some medical expenses incurred in the European Union, called the European Health Insurance Card, but that may change in the months and years after the referendum to exit the European Union. As well, the United Kingdom has reciprocal health coverage with some non-EU nations, for example Australia. However, in other places British nationals will need to pay for their health related costs, rendering the accessibility of travel insurance even more important when going to countries that will not accept your NHS coverage. Even if the countries you plan to visit accept National Health Service coverage or you can apply for reimbursement back in the United Kingdom, there is risk in foregoing travel insurance. In order to avoid the charges of a private hospital you need to find a publically funded hospital in the foreign country. In certain parts of the world it can be difficult to find a state healthcare provider. Alternatively, the state funded practice or hospital may not provide high quality care. In an emergency situation, you do not want to weigh the costs against serious medical repercussions, instead travel with the confidence that you can access healthcare when and where you need it. As with any other form of insurance, the costs incurred and coverage provided in a travel insurance policy are delineated on a spectrum. The cost of premiums can vary significantly from plan to plan, depending on what is covered. Your trip is already a huge expense, and may even constitute a long time of saving, and you do not want to waste money on travel insurance policies you do not need. Therefore, it is important to determine the level of coverage you need and where your medical risks fall on this spectrum in order to receive the best value for your money. Emergency situations and accidents are the most common reason for medical costs incurred abroad. At a minimum, you will want any travel insurance policy to provide adequate coverage for these events. Consider the itinerary you have planned and the risk of accident or injury, and then determine what amount of medical cover you may need. For instance, a motorbike trip through Vietnam is more likely to result in accident than a beach holiday in Florida. Also, pre-existing conditions are normally excluded from travel insurance policies. The policies that do cover previous and current medical issues will require a higher premium, and once again, it is important to consider the risk of an incident from a precondition on the trip you have planned. There are many risks of travel that are non-medical. Often travel insurance policies will include coverage for these risks as well. Cancellation, flight changes, and cutting short your holiday should all be covered in a travel insurance plan. It is normally recommended to find a plan that covers the full cost of your trip, just in case you are forced to stay home entirely. As well, travel insurance should cover the cost of the belongings in your luggage, and for that matter, the luggage itself. No one wants to consider a lost or stolen bag while on holiday, but it does happen and the contents can be worth quite a bit of money. Finally, certain plans will cover emergency evacuation and disaster assistance. Be certain to carefully compare travel insurance policies to confirm if these benefits are included in a specific plan. Cruise insurance should cover a multitude of different missteps and potential mishaps that are particular to these water-bound trips. First and foremost, cruise insurance includes the medical emergencies and procedures covered under travel insurance. This means if you slip on the deck or fall seriously ill, you can have medical treatment on the open seas, and it will be covered under the policy. Cruise travel insurance also covers an incident that requires airlifting from the boat to shore, the cost of a delayed or missed departure, interruption of the cruise for any reason, the cost of possessions and luggage ruin or damaged while on the cruise, and the cost of an unused cruise in many situations. Different plans incorporate different benefits; make certain a specialist cruise insurance comparison is done before purchasing to understand the different rates and what you are actually receiving from various providers. Just as a cruise vacation presents unique circumstances and situations, so does a trip that involves winter sports such as skiing and snowboarding. Often, these activities are undertaken with the knowledge that an accident may result. While normal travel insurance may cover the cost of medical attention from a fall, what if the injury requires evacuation or removal from a remote location? It would be dire to be stranded in the snow with an injury from backcountry skiing or snowmobiling. Other policies are specific to older adults on the adventure of a lifetime, for example: backpackers who go abroad for long periods of time, and adventure travellers who may encounter more hazards than the average person. Regardless of the type of travel adventure, there is a plan that will cover the risks that is well worth the cost. Booking, Changing Status, Resolving Query, Saving Money- All At One Stop Shop!